Koh Teng Huat’s is a wielder of palette knife and his artistic strokes bestow upon his painting life, making his oil paintings distinct. He uses the palette knife to accentuate the toughness of his painting, providing it with hard and soft textures. 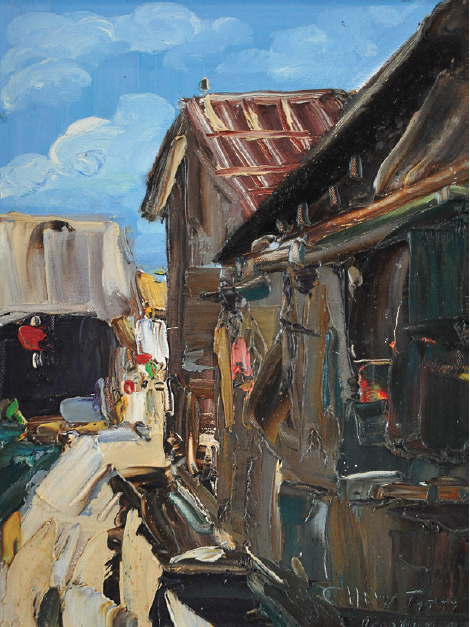 Teng Huat draws in viewers with his vivid expressions and unique depictions of sceneries, as seen in this artwork.